Discussion in 'Poecilotheria' started by Cody-Myles, Feb 12, 2018. My vittata moulted a few days ago, hasn't regrown any of her missing leg though ☹️, feel I'm gonna have to make her a disabled badge. She will need to be moved to a larger enclosure after her next moult so as I have loads of acrylic shop display things, I've decided to get the proverbial ball rolling and build her a new enclosure ready for the next moult. It's a simple 25cm x 15cm x 15cm with an opening front panel. I have cut the back, sides, top and bottom. Just need to cut the substrate barrier piece for the bottom and the door itself. ATM I've siliconed the bottom, back and sides together. Once they're dry I will silicone the top and substrate pieces and finish off with the door, then drill the vent holes. 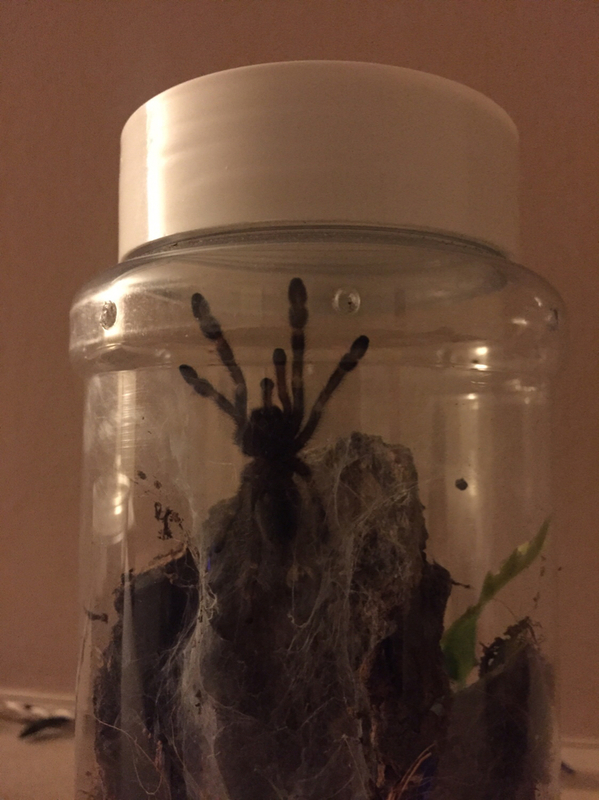 Here are the pics of the enclosure panels drying and my moulted vittata (measured her moult at 1 3/8" (3.5cm). Nice build!! Just remember that pokies run in circles and usually the enclosure should open from the top. Adding a small feeding port for food and water might be prudent. PM me if you're getting into the business of selling them.